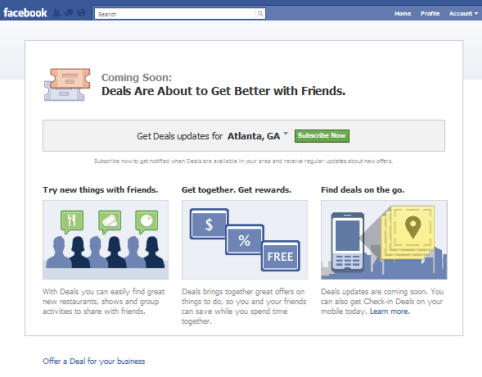 Facebook Deals Go Local: Businesses can now offer discounts to their local markets through Facebook Deals. And Facebook will be publishing these Deals stories in the Facebook feeds of your customers. This new service puts Facebook into direct competition with Groupon. Local Deals start out initially in Dallas, Austin, Atlanta, San Francisco and San Diego. Under the Settings tab of your Twitter account, you can now choose to view all of your tweets through a secured URL. Twitter Celebrates 5 Years of Tweets: Twitter released the latest Twitter statistics on their 5th birthday. The past year has seen a 182% increase in mobile users. Check out the other stats here. On March 21, 2006, Jack Dorsey (@jack) sent the first Tweet. Last month there was an average of 140 million tweets sent per day. Here’s another social media tool worth a look. Wishpond: A shopping engine to search local stores and find the best deals in town. You can Make a Wish on a product you like, and Wishpond will alert you when the price drops, find similar products that match your desired price and send you personalized deals from nearby stores that will match that price. Wishpond was also recently in the news for their participation in Crowdbeacon. Social Media Examiner’s Social Media Success Summit 2011: Check out the largest online social media conference! Help your business grow with social media. Watch this video as Michael Stelzner shares his story.